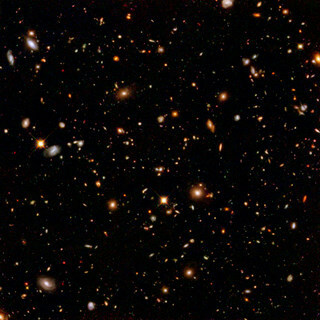 The famous 'Hubble Ultra Deep Field' photo. To take the picture above, NASA intentionally looked for an area of space that appeared to have no known sources of light or X-ray emissions. In other words, an area that did NOT have any stars. When they took a picture of this 'blank' area, they were astounded to find it packed, not just with stars, but with entire galaxies! One of the problems in accepting the idea of space-traveling aliens is understanding what our traditional modern-day scientists already confirm as being true. The universe is so large and so strange that we are simply not able to incorporate it into our everyday experiences and thinking. Let's consider some things that may not be apparent. Ninety percent of the mass in the universe is literally invisible to us. No light emanates from it and we cannot see it. Scientists know it is there because they are able to measure the gravitational pull these invisible masses exert on visible bodies. Not only that, but if you look at the entire spectrum of frequencies in the universe, man's five senses can only pick up a very small amount of them. Think of a dog whistle: Blow as hard as you can, you won't hear a sound. The whistle is out of your limited frequency range. Distances are so great that it takes the light from most stars years to reach us. When we look up we can never see what is going on now, we can only see what has already happened. 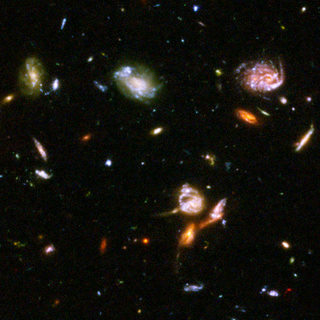 This is a small section of the Hubble Ultra Deep Field photo. This small section alone contains 3,000 galaxies. Much is made of the assumption that the stars are so far apart that no beings could travel to another star in a single lifetime. The key factor of course, is time. However, time is a very complex subject. Here are some things you can begin to think about when it comes to considering time. These facts are well known by our physicists and based to a large degree on Einstein's work. Time is relative; it has nothing to do with distance. So stop making the assumption that it will take a certain amount of time to travel a certain distance. The two are completely unrelated. Many alien beings have clearly stated this. It is why they are able to travel vast distances across the universe almost instantaneously. Put two dots on opposite ends of a sheet of paper. Traditional thinking tells you the shortest distance from one point to the other is to draw a straight line between the two. You then think you measure the time it takes to go between the two points. The shortest distance is to fold the paper until the two points touch. This is how the aliens travel great distances without time being involved. I know this sounds impossible, but time as we know it does not really exist. Time is only a reference point, just as a mile marker is a reference point. Look at it this way: If there is only one marker, what does that mean? Nothing! But if there are two or more they actually have meaning. They are references denoting something to you. This is well known and acknowledged by our physicists. Different parts of our universe have different times. This is also a well-known and established fact. Here's an example: Let's say you have a twin sister. NASA gives her a ride to Jupiter where she sets up house and lives for the next ten years. Jupiter has a different day than the earth (the amount of time it takes for the planet to make one revolution) and a longer year. So at the end of the ten-year period, who's older, you or her? You have both lived in completely different time references. Time is affected by gravity. The slight alteration in gravity caused by changing our distance from the earth's center (such as going to the top of the Empire State Building) is enough to produce a measurable change in the flow of time! Time slows as you approach the speed of light. If you traveled in space at just below the speed of light for ten years you would be and appear ten years older. However, people on earth during the same time period will have experienced and aged seventy years! Since gravity plays a role in space travel as well as in the flow of time, here are a few words about one of our most misunderstood natural forces. When the space shuttle takes off it goes straight up vertically to get through the least amount of atmosphere as quickly as possible. When the shuttle attains the correct orbital height, they shut down the engines and the shuttle simply falls. The pull of the earth's gravity causes the shuttle to fall in an arc. The arc of the shuttle's fall matches the curve of the earth and the shuttle continues to fall endlessly. The astronauts and the shuttle have not escaped gravity. When you see films of them cavorting around the cabin seemingly weightless, it is not because they are weightless, it is because they are falling! Just like a sky surfer before he opens his parachute. The astronauts are falling at a rate of 20,000 miles per hour! There is a lot of gravity up where the astronauts are. If you could build a skyscraper up to that orbital height (about 250 miles) and stand on the roof, you would still weigh about the same. You would not float off the roof of the building. In fact, if you jumped, you would go straight down. The astronauts in orbit are not that far away. They are about the same distance from earth as San Diego is from Santa Barbara, or about 250 miles. 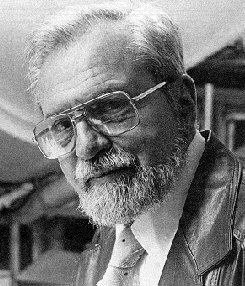 "I have begun to feel that there is a tendency in 20th century science to forget that there will be a 21st century science, and indeed a 30th century science, from which vantage points our knowledge of the universe may appear quite different than it does to us. We suffer perhaps, from temporal provincialism, a form of arrogance that has irritated posterity." 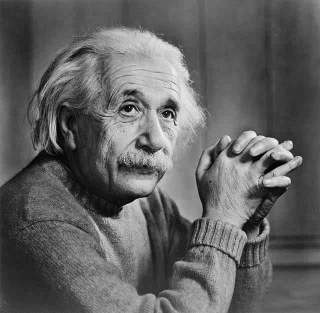 Once, while serving as a professor at Princeton Institute, the great physicist Albert Einstein was handing out that year's final exam. A student stood up and blurted out, "But Professor Einstein, this is exactly the same final exam you gave us last year!" Einstein turned and said, "Yes, you are right. It is the same exam. But, this year the answers are different!" Folks, this year all the answers are different for you too!